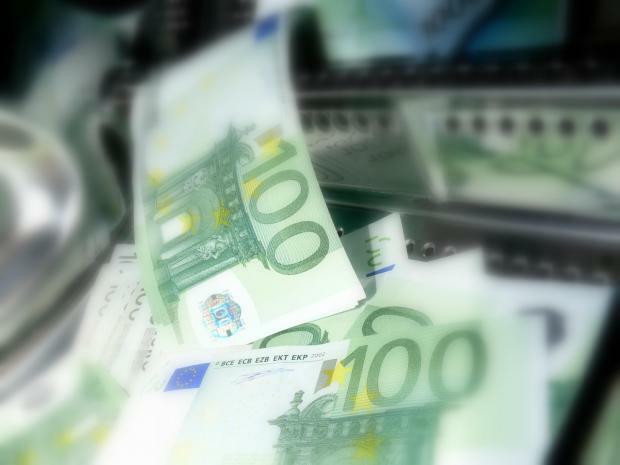 Malta’s anti-money laundering regime received a poor grade in a draft Moneyval evaluation, with the government now scrambling to push up its final score before the summer deadline. The Committee of Experts on the Evaluation of Anti-Money Laundering Measures and the Financing of Terrorism, known as Moneyval for short, is a permanent monitoring body of the Council of Europe. It assesses compliance with the principal international standards to counter money laundering and the effectiveness of their implementation. A senior source told The Sunday Times of Malta that a draft report by Moneyval had “failed” Malta when it evaluated the country’s actions and preparedness in complying with rigid anti-money laundering legislation. However, veteran financial service practitioners said that while this might appear “alarming”, there was still time to improve. “Countries do often fail in the draft report and then manage to turn it around for the final document, so I wouldn’t be surprised if the country’s final score is better than this,” one source said. A government spokesman last night emphasised that the evaluation was still far from complete and would only be so when Moneyval publishes it in July after another eight stages in the process. A source privy to the details of the investigation said that unless the draft grade were improved, a chain of events would be set off that could end in the country being blacklisted. The source explained that Moneyval, which conducted a mission in Malta in November 2018, had not found any major problems with Malta’s laws and the measures the island has ‘on paper’. The island was found to be largely compliant. However, it had raised concerns about how effectively these laws were being implemented by State organs such as the police and the Malta Financial Services Authority. This second section can see a country’s anti-money laundering effectiveness graded as either ‘high’, ‘substantial’, ‘moderate’, or ‘low’ – sort of like an A to F grading scale in exams, moderate being considered a fail and low being considered a “terrible grade”, the source said. The source said that out of 11 sections of effectiveness graded – ranging from international cooperation to local supervisory functions and policing – none were considered good enough to score a ‘high’. “Half” were only found to be ‘moderate’, “just one or two” were considered good enough to be ‘substantial’, with the rest ranked as ‘low’, the worst grade possible. The source said the government had already spent “millions of euros” in consultancy fees in a bid to impress the Moneyval mission, however, the effort had come up short. “In one area alone – risk management – the government spent some €800,000 in consultancy and advice, but we still failed that section,” the source said. Next month Maltese officials will travel to Strasbourg for a grilling as part of the assessment, and then the government will engage in a dialogue with the Council of Europe experts. Then, in July, the final document will be voted on in a special plenary. Once the document is approved, Malta will be given a long list of recommendations that it will have to implement, likely under some form of supervision, within one year. The source said that if progress was not deemed sufficient, the worst possible scenario could see the island ultimately put on a blacklist, adding that several high-level meetings had been held with heads of State organs and the administration to discuss the way forward. Asked for the government’s position on the draft and what it was doing to address the situation, the government spokesman said the document was an internal draft undergoing a due process which applied equally to all Council of Europe members. “Moneyval insists that this draft is confidential and in fact not even sent to any EU or international institution; not to hide anything, but because the evaluation is only complete when Moneyval itself publishes it in July after passing through all the stages. In fact there are still eight more stages in the process,” he said. He added that the disclosure of extracts from this draft document was unethical because it interfered in this due process and this would harm the country by prejudicing the final evaluation. Government sources indicated that an investment drive had already begun in a number of areas highlighted for shortcomings. The Financial Intelligence Analysis Unit, which has been in the spotlight over the past few years after handling several high-level money-laundering investigations involving politicians, recently saw its budget explode from €1.6 million to €10.6 million. Similar investments were expected for the police’s Economic Crimes Unit, while the Malta Financial Services Authority is already undergoing a significant restructuring exercise. The government sources also said that Finance Minister Edward Scicluna did not seem to be losing sleep over the draft report, saying he appeared “surprisingly cool” given the magnitude of the task at hand.